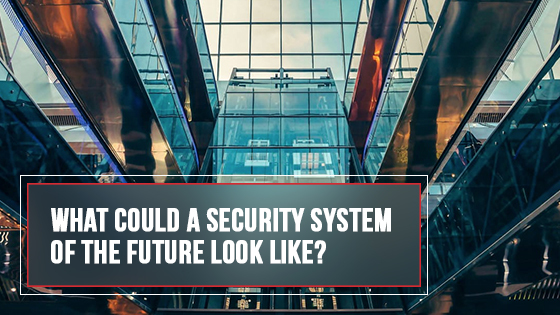 Blog - What could a security system of the future look like? What could a security system of the future look like? Predictions of the future are always fun. They may not be particularly accurate, but that doesn’t matter – the joy is in guessing what may happen, not waiting to see if it actually does. Security systems are currently in the midst of a technological revolution. Like in so many other aspects of our lives, the introduction of the smartphone has brought with it a world of possibility that may have previously been thought impossible. But apart from smartphone developments, what does the future of residential CCTV and commercial alarms in Sydney look like? Despite the movies making it perfectly clear that AI technology will eventually turn on humans, developers are going ahead with it anyway. In terms of home security AI systems of the future will have the ability to recognise not just faces, bodies and voices, but also whether a person represents a friend or foe by simply analysing their movements. A residential AI security systems will be able to capture images and cross-reference them with police databases, and make calls on whether someone in the home is a visitor or intruder. Fumbling with keys is so 20th century. Home or business security will use the likes of fingerprint, retina scan or even DNA analytic technologies to confirm the identity of anyone looking to gain entry to a property. An unauthorised person will be left waiting patiently at the door until someone who is authorised lets them enter. What if you could rely on a home security system to tell you if your milk was getting low? Or remind you that it was bin day? Or that the washing machine was leaking? A fully integrated security system of the future will certainly have the hardware to analyse all of these things, it would just be a matter of developing the software and making sure that people are comfortable with that level of what you may term ‘invasiveness’. So the future looks bright indeed for security systems. Your home or business will continue to get safer and safer as the technology develops, and you may even get some ‘you’re out of milk’ type benefits as well! For more information about security systems, call the friendly team at Red Handed Security on 1300 13 40 33.